Illegitimate children, by definition, are a challenge. 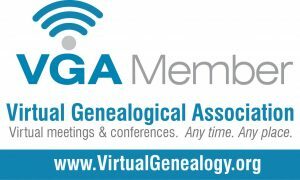 Especially when you are a genealogist and especially when all the parties involved have passed away. Add in some surname swapping and changes in spelling and you may have an idea of my current challenge. Really, my challenge for the last several years. My 2x Great Grandfather, Abraham Benjamin Price, was born in 1878 in Cocke County, Tennessee. Cocke County is located in East Tennessee, about 45 minutes east of Knoxville. After the Civil War, like other counties in the area, it was a time of rebuilding. The only problem is, Cocke county is located in the foothills of the Smoky Mountains. This meant that the county was isolated from not only it’s neighbors, but also from new industry. Many who lived in the area struggled severely with making ends meet. The perfect storm of no money and no opportunity lead many women in the county to either marry at a very young age, or do whatever they had to in order to provide for their family. This lead men in the area, who may have lacked gentlemanly morals, to take advantage of these women. The environment in Cocke County caused an uptick in illegitimate children. Either the mother’s of these children didn’t know who the father of their child was, or the father denied the child’s existence. This should paint the picture of what life in Cocke County was when Abraham was born. His mother, Lydia Price, was 20 years old and unmarried (according to census records) when Abraham’s bother, Ruben, was born. Two years later, still unmarried, Lydia had Abraham. In the 1880 census, Lydia, or Letty, is living with her mother (also named Lydia) along with her two sons. Also living in the household is Letty’s sister, Nancy, who has what appears to be an illegitimate son also, Moses Price. Remember that census records can be deceiving. If you look at the 1880 census, both Letty and Nancy are listed as being children of Apollos Bryant. This is not true. Apollos is Lydia’s second husband with which she had no children. In 1884, Letty married a man by the name of William Howard Henderson. They had five children together; Lydia, James, Delia, Amanda, and Winnie. Two of the children, Lydia and James, would flip back and forth between surnames. On one document, they would be going by the surname Henderson, while on other documents, they would be listed as Burchfield. To make matters more confusing, sometimes their surname would be spelled B-i-r-c-h-f-i-e-l-d or B-u-r-c-h-f-i-e-l-d. It does appear that Delia and Winnie always went by the surname Henderson, while Amanda was the forgotten sibling that not too many knew about. At this point, I was completely confused. Why were all these children switching up their surnames whenever they felt like it? Come to find out, William Howard Henderson was also illegitimate. He did not know if he was really a Henderson or a Burchfield either! With the research that I have done, it appears that his father was possibly John Henderson, who married Elizabeth Jane Birchfield. If this is in fact true, things get even more complicated considering John’s parents are Thomas Birchfield and Polly Henderson. I’ve tried to unravel this spiderweb of illegitimacy by looking into DNA. I had a male cousin on this line take a yDNA test. The result were mostly matches with men who had the surname of Burchfield. So, at first glance, it appears that Abraham Benjamin Price should be Abraham Benjamin Burchfield. Could Abraham’s father have been William Howard Henderson? This would mean that Letty would have had to “have relations” with William before they were married and when William was only 12 years old. While this is a little difficult to wrap my head around, given the atmosphere of Cocke County, it certainly a possibility. Another angle that I have been working has to do with a decedent of Abraham’s cousin, Moses Price. Remember that Moses is also illegitimate. It does not appear that Abraham and Moses have the same father. At one point, it was believed that Lydia’s second husband, Apollos Bryant, could be the father of both boys. However both DNA and document research points to that not being true. I could go on and on about more theory’s on the parentage of Abraham Benjamin Price, but that’s all I have right now…a theory. Many DNA matches are in the same boat that I am, with no idea of how to piece together the Henderson/Birchfield family tree. Even reaching out to some cousins have led to dead ends with communication being cut off after digging a little too deep. Whatever happened back then is leading me on the greatest challenge of my genealogy career! Many challenges here! Best of luck in putting all the pieces together!